Bob Dylan - 'More Blood, More Tracks - The Bootleg Series Vol. 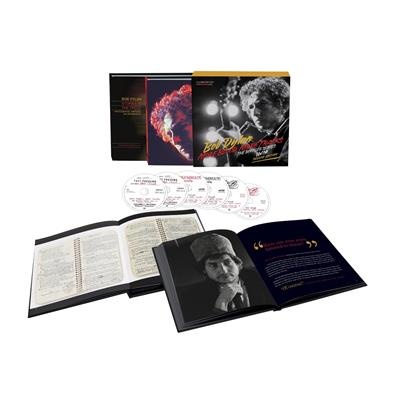 14' - the latest chapter in Columbia/Legacy's highly acclaimed Bob Dylan Bootleg Series makes available the pivotal studio recordings made by Bob Dylan during six extraordinary sessions in 1974 - four in New York (September 16, 17, 18, 19) and two in Minneapolis (December 27, 30) - that resulted in the artist's 1975 masterpiece, 'Blood On The Tracks.' One of the top-selling albums of Dylan's career, 'Blood On The Tracks' redefined the boundaries and structures of modern pop songwriting (a genre Dylan had virtually invented a decade prior), reached #1 on the Billboard 200, achieved RIAA 2x Platinum status and was inducted into the Grammy Hall of Fame in 2015.